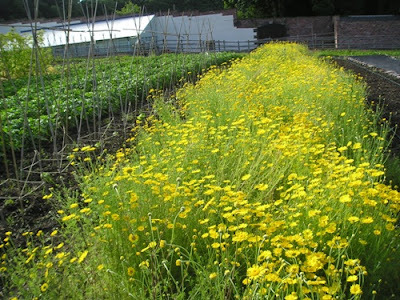 Come along and hear Darrell Maryon of Wortley Hall Walled Garden talk about pest control and companion planting. Find out more about growing organically and join if you aren’t already a member. This photo shows Dyer's Chamomile which provides nectar over a very long period in the summer and creates natural pest control by attracting predator insects such as hoverflies.